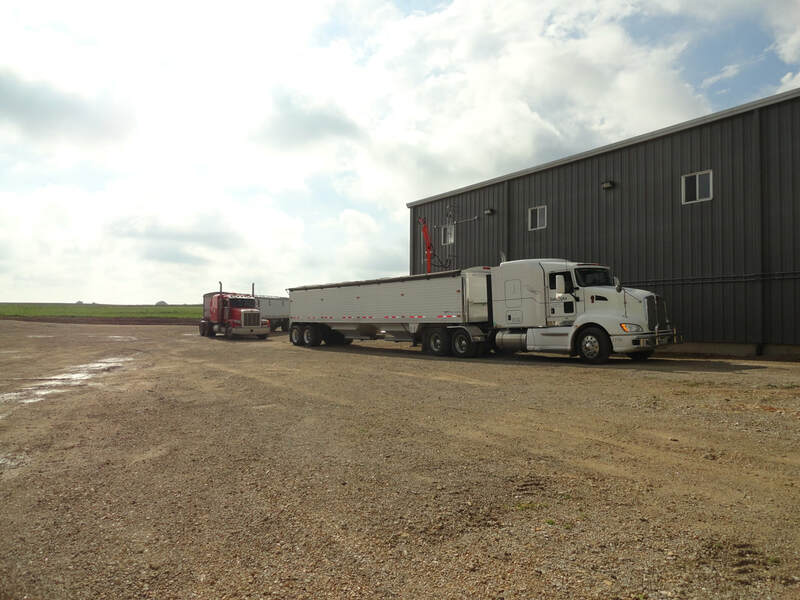 ​ Since 1996, Northern Iowa Grain Processors has been providing their customers the highest quality Non-GMO and Organic soybean meal and oil. NIGP is one of the oldest and largest processors of Organic and Non-GMO oilseed in the upper midwest. ​ Backed by years of experience in the handling and processing of oilseeds, NIGP is committed to providing the highest quality products for the Organic and Non-GMO feed industries. ​ NIGP is also a custom toll processor, giving our customers the option of keeping both their oil and their meal or trading their oil for part of the processing charge. ​ At NIGP’s cutting-edge processing plant, all of the incoming oilseeds are thoroughly cleaned before processing, unlike other processors. NIGP removes all foreign materials, weed seeds, hulls, and empty pods before processing in order to guarantee a consistent, high-quality, high-protein product. All of the oilseeds are tested to meet our strict Non-GMO standards. We only allow half of 1 percent GMO in the incoming grains. This standard is much higher than other processors of Non-GMO oilseeds. All of the loads that test higher than our standard, half of 1 percent, are sent to other processors and never unloaded here and NIGP. NIGP prides itself in the fact that we do not process foreign grown oilseeds. All the oilseeds processed at NIGP are grown here in the United States. We know that our U.S. growers are the reason for our high quality meals and oils. We support them by paying a premium for their oilseeds. ​The unloading and loading capabilities of NIGP are second to none. All outgoing meal loads are weighed on our truck scale and in a matter of minutes, each truck is loaded exactly to the proper weight. NIGP strives to provide an excellent, high-quality product to our customers every time. NIGP is located in upper mid-east Iowa, near the country’s largest Organic and Non-GMO oilseed growers. The availability of NIGP’s processing and storage facility allows our customers the alternative to costly shipping to and from out-of-state processing facilities. NIGP’s oilseed crush plant is state of the art. The system is chemical-free, Organic, and identity preserved. We like doing business with NIGP because their meal is very good quality, fresh, clean, had no molds, nice grind, and the unloading and loading was fast. Copyright © 2018 Northern Iowa Grain Processors, LLC. All Rights Reserved.